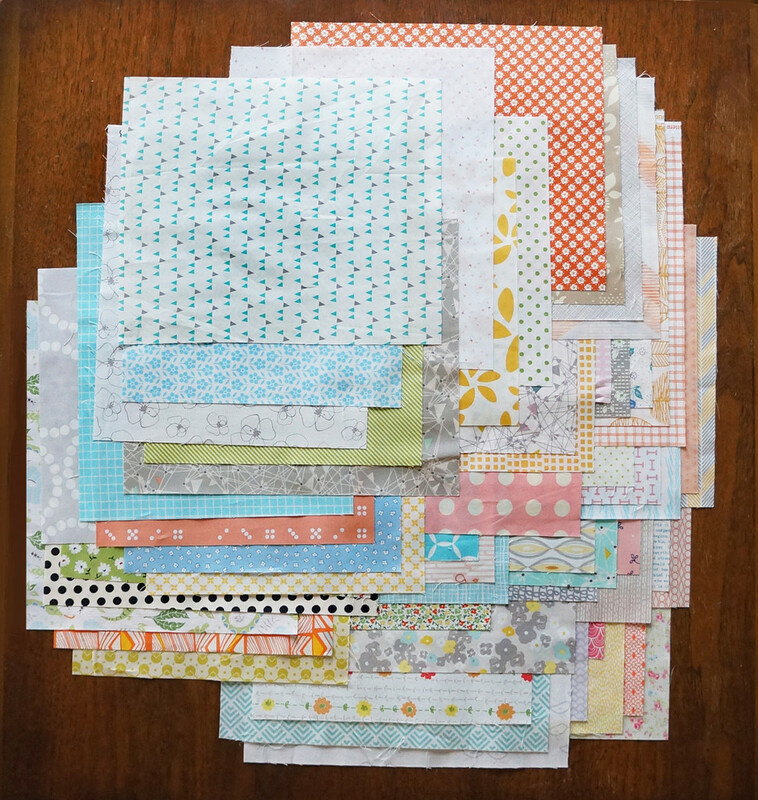 Just before quilt market, we embarked on a special project of our own: The Tiffany Quilt. 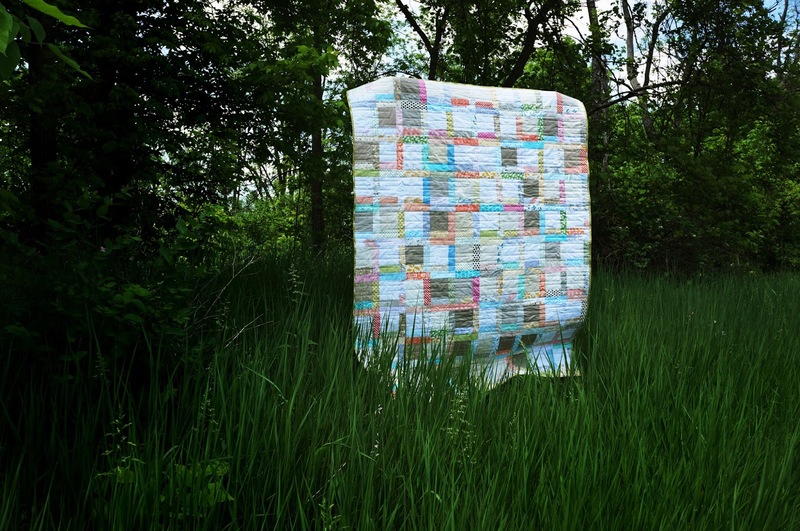 A scrappy low-volume quilt whose sole guiding principle was, "What would Rita do?" Rita, of course, is Rita Hodges of Red Pepper Quilts, designer of the Tiffany Quilt pattern and whose iconic style was to be our blueprint! Hayley chose the fabric and with that in hand, Brenda and Ronit (of Two Hippos fame) turned to their cutters and sewing machines. After it was all done, I asked Ronit what she liked best about the Tiffany Quilt. 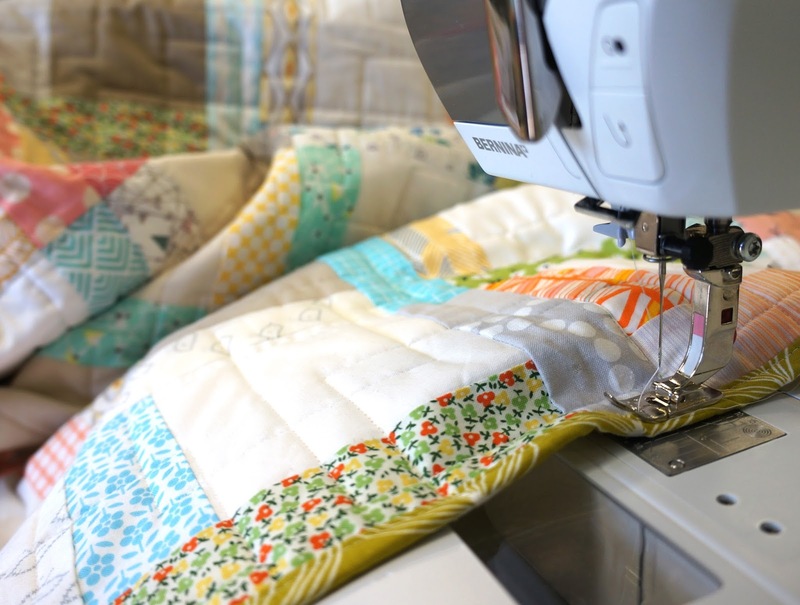 "It's a great pattern to piece for beginners, but also opens up possibilities for experienced quilters. You can chain piece it. 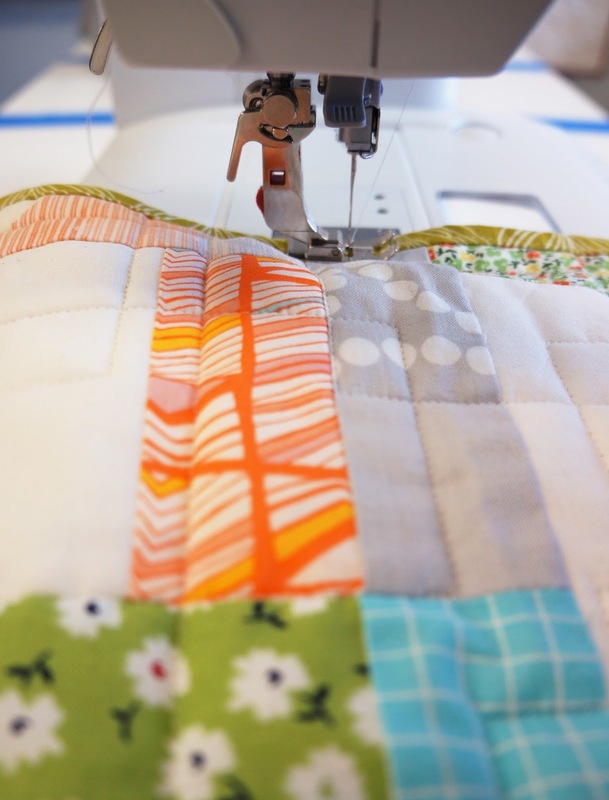 For experienced quilters, you can do this while watching TV. You can really get into a nice rhythm." Over a period of several days, Brenda and Ronit worked furiously to complete our Tiffany Quilt, occasionally enduring setbacks along the way. One morning, they came in to find the design wall on the floor of the shop, all of their hard work from the night before scattered across the tile. But they turned disaster into inspiration. "Even when the design wall falls, it works out fine. Ours did and that's when we decided to piece it randomly!" We had so much fun with the Tiffany Quilt that we put together a kit for it, as well as an accompanying backing kit! 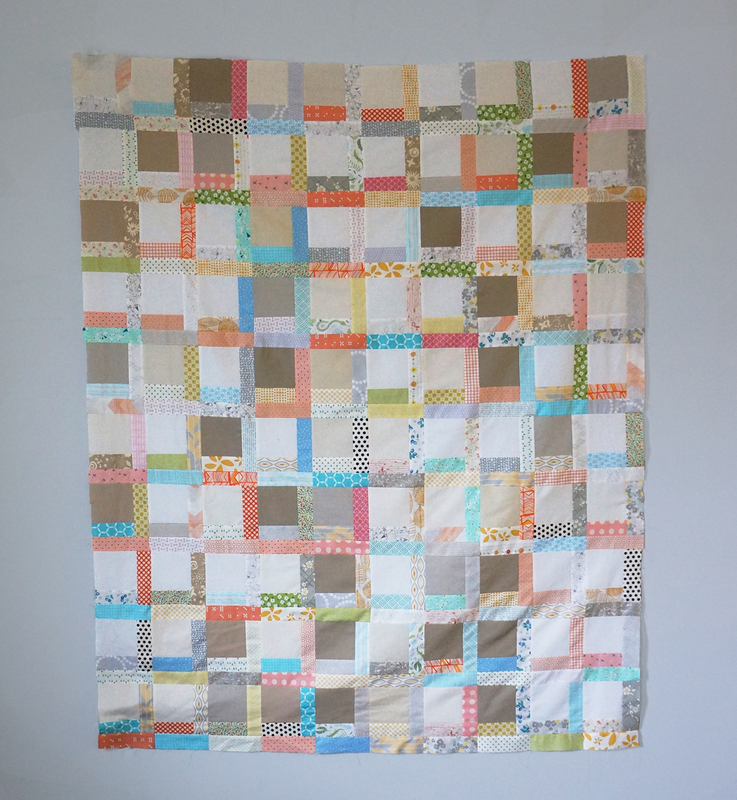 We took everything we used and put it into these kits, so you'll have everything you need to make this easy, fun, scrappy quilt. And what if you want to add your own personal flair to it? Ronit has an answer for that too! "It's a kit, but with a lot of room to play. It's very open-ended." Open-ended indeed! Just make sure your design wall is securely fasten down!